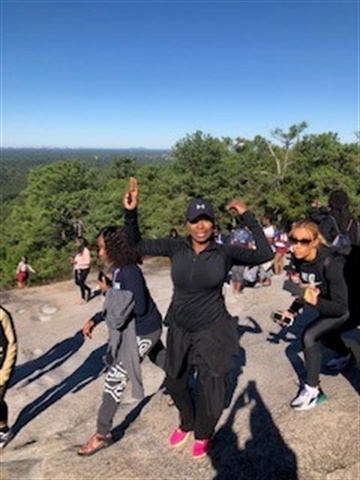 As a global beauty ambassador, I did not know what to expect when I was asked to be one of the speakers at the Girls Who Rule the World Retreat. I was very excited about the opportunity. 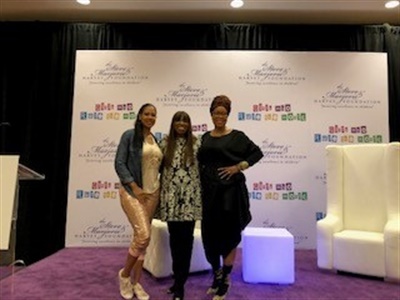 First, I was asked to create a lip gloss to gift to the young ladies, which was to be named Marjorie (after Marjorie Harvey, who founded the program with husband Steve). I got even more excited when I found out I was sharing the stage with the beauty editor legend Mikki Taylor. 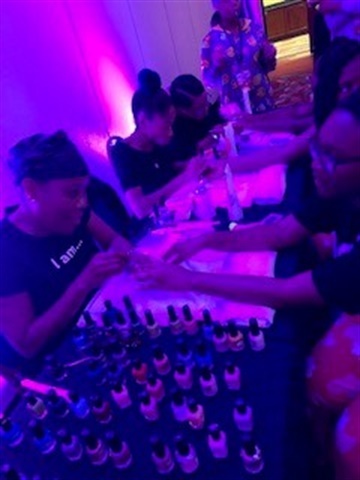 I thought, “How much better can this get?” I was asked for my input about what would make a fun night for the young ladies, and of course I said “manicures.” A pamper party is always a hit when you have manicures. When they agreed, I reached out to some of my favorite brands that I use and support. I called CND, Zoya, FarmHouse Fresh, and Pedi-Sox and they shipped enough products to work with as well as to gift each of the girls. When I was asked to do this, I reached out to my nail family in Atlanta to find people to help with the event. 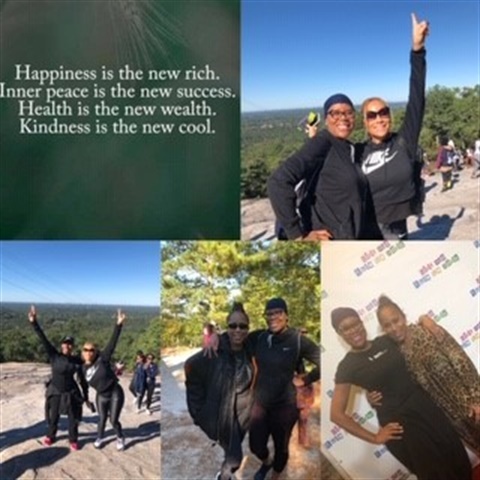 KaSundra Anderson and Terrance Terry connected me with some amazing nail pros that I now have a relationship with in the Atlanta area. This is why it is important that we as nail pros should never look at each other as competitors. We should look at each other as colleagues. My biggest advice is to nurture the relationships you make along the way. It is a necessity. I went to speak about beauty, but I learned so much from these young inner-city kids in three days. Their zeal, wit, passion, and strength give me hope for the next generation. These young women were powerful. As a Black mom, I was so proud to see these girls that look like me and know that because of this opportunity they now have more like-minded friends. 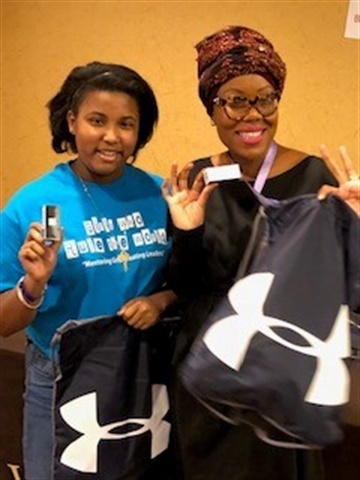 The director Sharon Page and Mrs. Harvey have not only blessed these girls, but they have blessed their family as well by blessing others. I invite you to take a look at some of the images from the weekend. 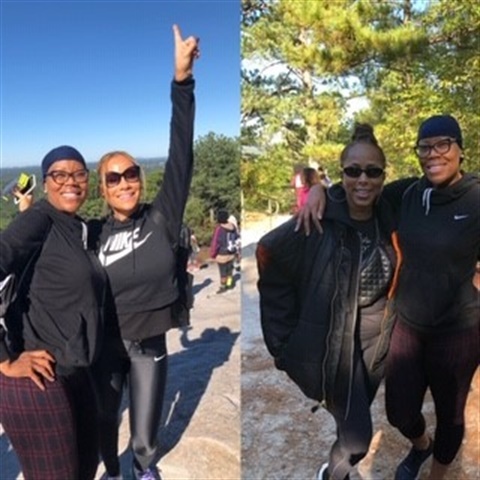 My favorite adventure was climbing Stone Mountain. It was like a life lesson. The grooves in the stones, the hills, and the unsettling of the stones made it so real to life. It got tougher toward the top of the mountain, but you could not give up. It was like life: Never give up, because once you make it to the top and look around, you see how beautiful it is. You forget about your suffering on your way to the top. Don’t look down on others, go down and bring them to the top. However, some people desire to stay at the bottom. Just leave them there if they are going to bring you down. Be great at what you do. Your nail career will take you places you never dreamed of going. You will change lives one person at a time.